Ready to question everything you thought you knew about your childhood? Perfect. Then buckle up and watch this insanely weird and totally inexplicable trailer for Tom and Jerry: Willy Wonka and the Chocolate Factory. No, this is not some bizarre fan film or the result of some Kickstarter campaign. This is a real movie that Warner Bros. Animation is releasing this year. The trailer for Tom and Jerry: Willy Wonka and the Chocolate Factory, which is surprisingly the actual title of the movie, made its way onto YouTube recently. Warner Bros. didn't even seem to want to put it on their own channel, which will make sense once you've watched the trailer. Were this a less insane, pointless mashup, many folks might be excited about the prospect of a brand new animated Tom and Jerry movie. For that matter, it wouldn't even be that uncalled for to have an animated version of Willy Wonka and the Chocolate Factory. But this is something else entirely. Some sort of Frankenstein's monster of things that never seemed to go together have now been forced to unite, creating this ridiculous movie. What is possibly most surprising about this trailer, aside from the fact that it exists in the first place, is that it really appears to be very near a shot-for-shot remake of Willy Wonka and the Chocolate Factory, but with Tom and Jerry observing in the background. The video even teases some of the same song and dance numbers from the movie, which was an adaptation of the famous Roald Dahl novel, Charlie and the Chocolate Factory. There is also a very creepy mouse dressed up as an Oompa Loompa, which is really the cherry on top of this whole thing. And the guy they got to voice Willy sure sounds an awfully lot like Gene Wilder, who starred in the original. Guess the Johnny Depp voice impersonator wasn't available that day. If you haven't been keeping up with Tom and Jerry over the last 15 years or so, you may be surprised to learn that this is not the first time the animated cat and mouse duo have infiltrated a classic movie. 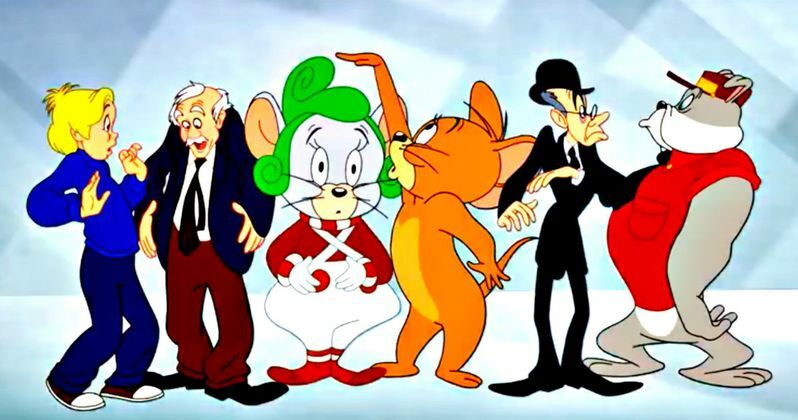 There have also been Tom and Jerry versions of The Wizard of Oz, The Lord of the Rings, Robin Hood and even a take on The Fast and The Furious called The Fast and the Furry. Though, that particular movie took more inspiration from the old Wacky Racers cartoon than it did the actual Fast & Furious movies. But the fact remains that that Tom and Jerry: Willy Wonka and the Chocolate Factory is just the latest in a long line of these uncalled for mashups. Warner Bros. Animation will not be doing a theatrical release of the movie, which shouldn't really come as a big surprise. The movie will be getting released on digital platforms, as well as DVD/Blu-ray, later this year. Just in case you're feeling a level of curiosity that this trailer can't satiate. Be sure to check out the trailer for Tom and Jerry: Willy Wonka and the Chocolate Factory for yourself below.